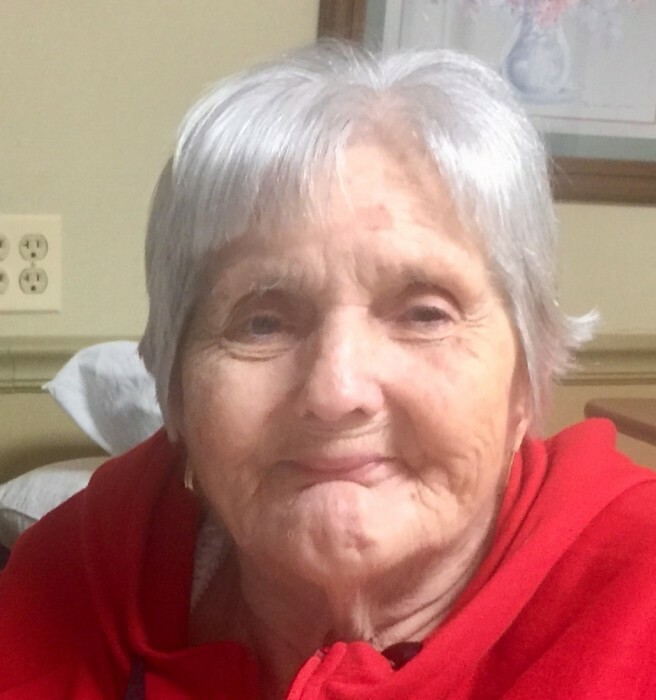 Lula Belle Walls, 82 of Sullivan, IN passed away Sunday, July 8, 2018 at Millers Merry Manor in Mooresville, IN. She was born in Sullivan Co., IN February, 11, 1936 the daughter of Max Oliver Hollifield and Lucille Ward Hollifield. She was preceded in death by her parents, her husband of 49 years, Perry Walls, one son, Perry Walls II, four daughters, Phyllis Showalter, Cindy Walls, Judy McManigell, and Patty Cross, two sisters, Sandy Tatum, and Sue Timms, two brothers, Jack Hollifield and Dennis Hollifield. Survivors include two sons, Billy Joe Walls (Leslie) of Stockbridge, GA, and Terry Walls (Mindy) of Morresville, IN, one brother, Roger Hollifield (Marilyn) of Sullivan, IN, one sister, Donna Walker (Larry) of Sullivan, IN, twenty grandchildren, several great and great great grandchildren. Funeral services will be held at Newkirk’s Funeral Home in Dugger, IN, on Wednesday, July 11, 2018 at 1:00 PM, with Pastor Raji Hollifield officiating. Visitation will be Wednesday, at 11:00 AM until the time of the service. Interment will follow at the Oak Grove Cemetery in Wilfred, IN.